Playhouse: 100% cotton. Easy to assemble with a light metal frame. Includes storage bag. Play tent small: 110cm long x 74cm wide x 110cm high. Not waterproof. 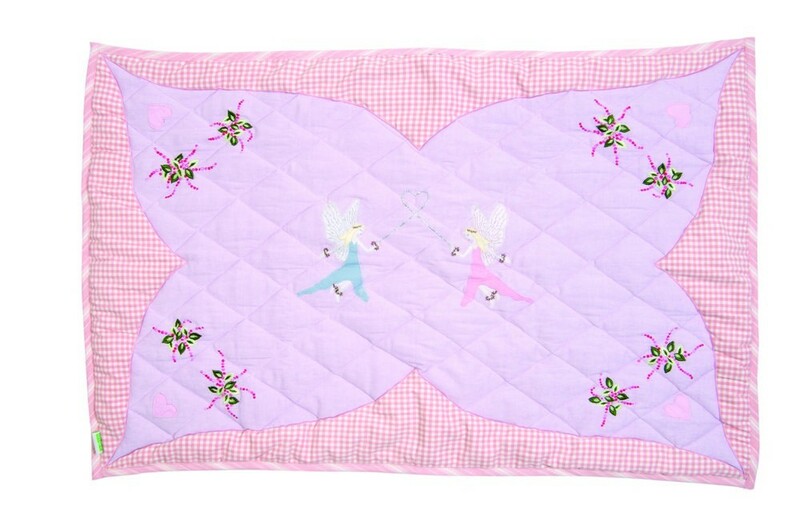 Article number: 1104 Floor Quilt: Format 110x74cm About Win Green (Wingreen) As with many of our loyal customers, we discovered Win Green as we searched for gifts for our two children and their boyfriends and girlfriends. We fell in love with the hand embroidered and appliqué designs and recognized the uniqueness and high quality of their products. From our first purchase, our children still play every day with their play tent. When we got the chance to add Win Green to our assortment, we took this opportunity with both hands. Wingreen play tents are made of extremely durable hand woven and hand dyed 100% cotton and come in a sublime array of colors and designs. 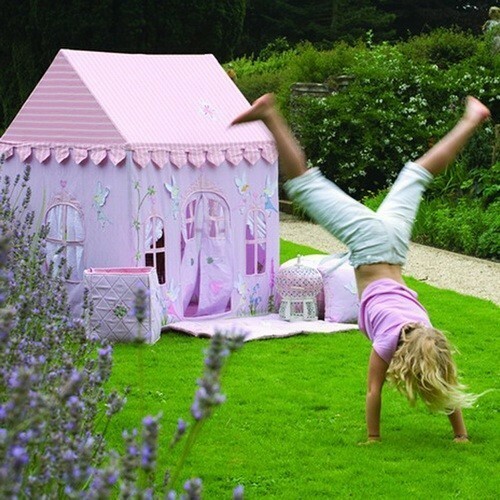 Each playhouse is made beautiful by exceptionally talented employees in India. Normally it takes 15 sewing hours to make every playhouse and it is this eye for detail that makes Win Green products so special. For the last 11 years, Win Green's production has helped local women empower more women and become financially more independent so that they can better support their families. It is their expertise and enthusiasm that contributed to the success of Win Green. 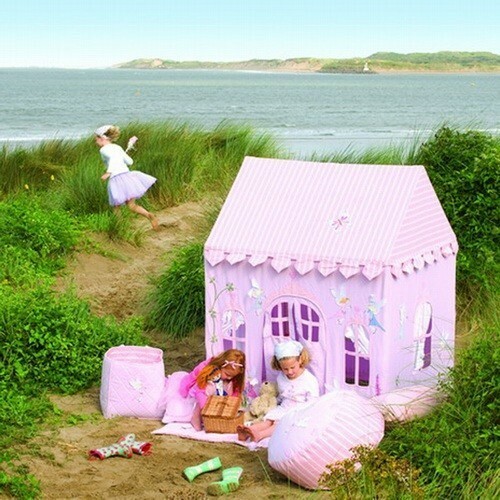 We sincerely hope that your children will have fun playing with their Wingreen playhouse as our children do. How is it made? The relationship with the suppliers goes back to 2001. When Win Green was set up, an unplanned contact with the first supplier was made on a fabric market in India and they have worked together since that time. Each cupcake, tractor and fairy is individually cut by hand. This handicraft results in small charming irregularities. They should not be seen as a mistake. Each and every product is completely unique! The factories in India are regularly visited to work on new designs and products and to catch up with the team. Wingreen's partners in India have developed an excellent understanding of how they want their products to look. Every time they succeed in amazing Win Green with new designs and their familiarity with Win Green's style combinations and how they want their products to look. They notice that best when they begin to see how their ideas become reality. The factories where the products are made have more than 250 local women who are trained in stitching, packing and embroidery. This initiative, which is supported by the government (District Rural Development Agency), is only intended as a work for women. It is a real metamorphosis when you see what changes the socially and economically disadvantaged women have gone through that are now financially more independent. 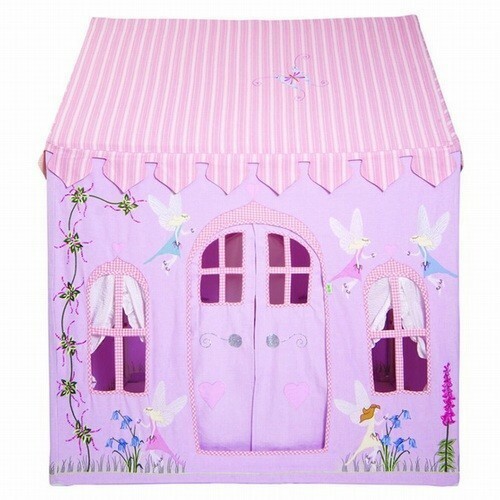 Playhouse, play tent, cabana, swimming pool tent, toy tent, children's tent, tree tent or as decoration for the nursery (as room tent) or as princess tent. Everything is possible.